I love this. 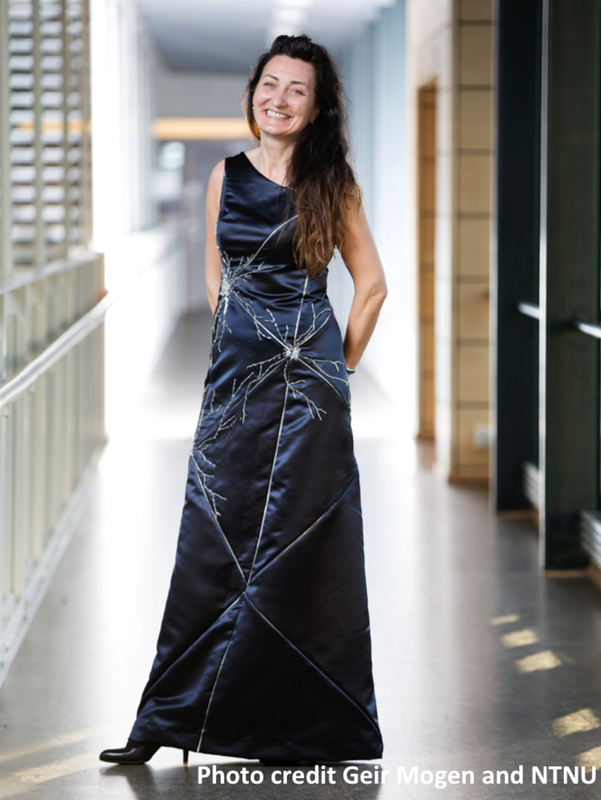 May Britt Moser accepted her Nobel Prize in Physiology or Medicine (shared with Edvard Moser and John O'Keefe) in a dress inspired by her work. Designer Matthew Hubble incorporated neurons in a way that was still pretty and not too costume-y. (More info and an interview w/ the designer over at SciAm). I'm a scientist, and I also happen to love clothes/jewelry/all the sparkly things. So to see Moser accepting the highest scientific honor in a dress that embraces both? Awesome. ETA this amazing photo. Thanks Mika!